Capabilities and, in particular, Innovation Capability (IC), are fundamental strategic assets for companies in providing and sustaining their competitive advantage. IC is the firms’ ability to mobilize and create new knowledge applying appropriate process technologies and it has been investigated by means of its main determinants, usually divided into internal and external factors. In this paper, starting from the patent data, the patent’s forward citations are used as proxy of IC and the main patents’ features are considered as proxy of the determinants. In details, the main purpose of the paper is to understand the patent’s features that are relevant to predict IC. Three different algorithms of machine learning, i.e., Least Squares (RLS), Deep Neural Networks (DNN), and Decision Trees (DT), are employed for this investigation. Results show that the most important patent’s features useful to predict IC refer to the specific technological areas, the backward citations, the technological domains and the family size. These findings are confirmed by all the three algorithms used. 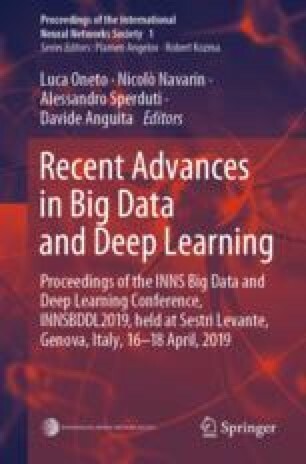 This work has been supported by LIUC - Cattaneo University under Grant “Data Analytics”.